Adventure from end of the known world (World’s End) The story of 16th century explorer Nathaniel Winter. Sagres in Portugal is termed the ‘End of the Known World’. I was there recently, and what struck me when I looked out from the point was the vastness of the ocean and thoughts of all the life that lay underneath the surface. It must be daunting to set off without knowing what you might encounter. I crossed the ocean and found this heavenly drink. 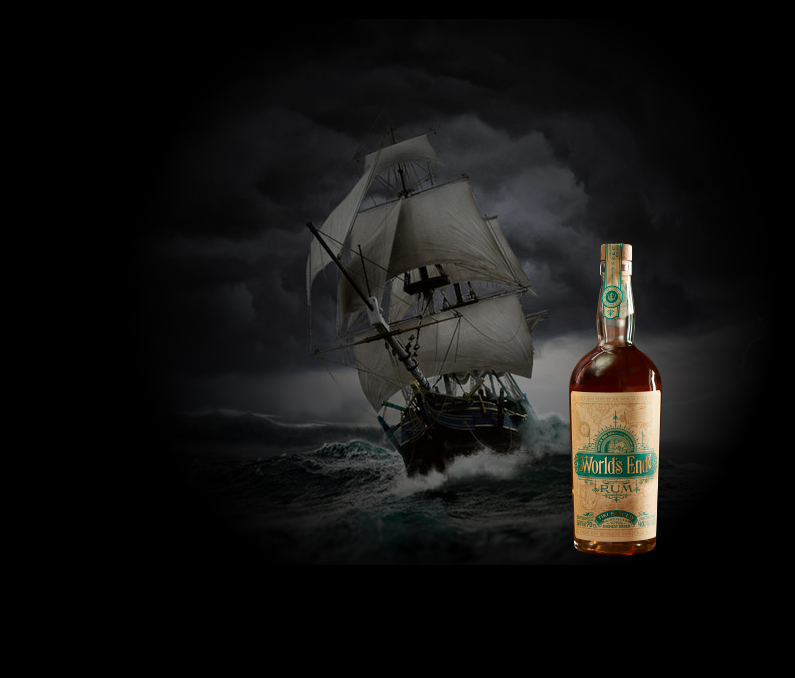 Flavour note: Based on a five-year- old rum and finished with variety of spices, fruits and caramel. So, next i sail back to the Caribbean and port at a new island - Barbados - which is the place where Falernum originated. Here the inhabitants have created something sweet, sharp and tropically delicious. Flavour note : rum-based liqueur, cloves, almonds, cinnamon and lemon. These ones bring fear and legends into the mix, and the worry that the native people will attack. This concern is allayed and a wonderful drink discovered. Again, hardship is rewarded. 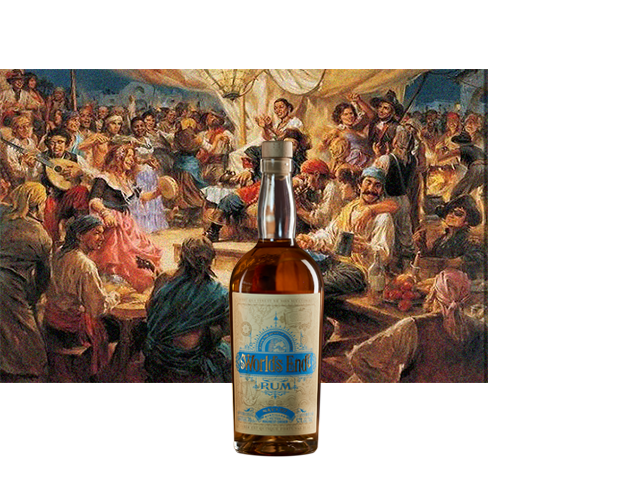 In the second example, the rum is portrayed as having great value. Nathaniel is still in the Caribbean, so no voyage this time. Three very different story possibilities here. One adds to the notion of adventure and exploration, one brings a little romance to the story (and possibly a hint towards the legends of female pirates like Mary Read and Anne Bonny) while the third brings in the notion of a duel. Flavour note: Blended using rum from five Caribbean islands with nine spices. No added sugar. More adventure and a new flavour discovery In this one he takes up with a native islander, a bit like Robinson Crusoe. He visits neighbouring islands by canoe and tastes their liquor. And it’s a little bit funny because he can’t decide which is best so he mixes them together and it turns out to be a bit like our Dry Spiced Rum. Tamo, is derived from Tamosi, the great creator in Carib mythology. The captain and his crew have returned to the Caribbean after being blown halfway around the world to the South Seas. They’re worn out and their numbers are dwindling, so to revive their spirits Nathaniel seeks out a rum ration that will keep them happy. 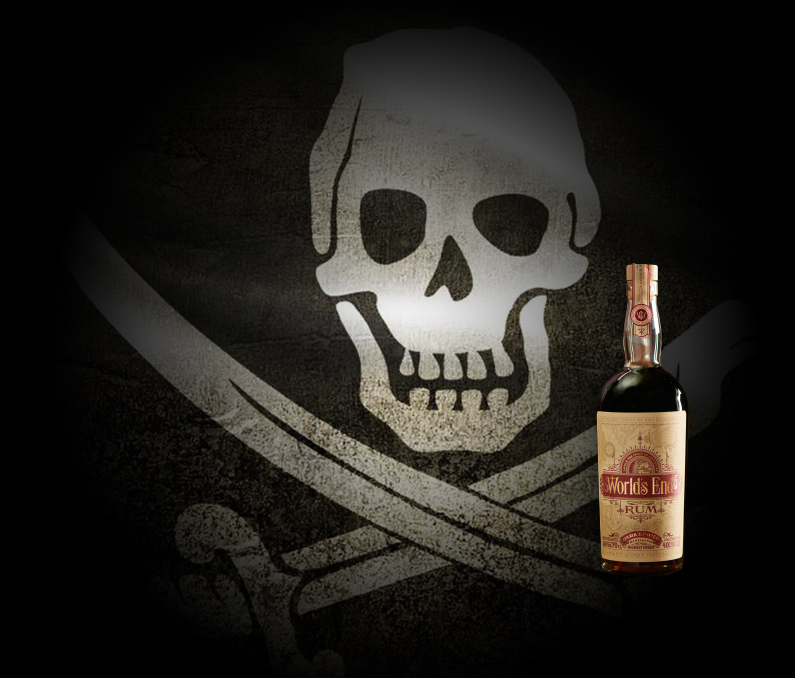 Flavour note: A Jamaica/Trinidadian blend of navy proof rum at 57% ABV. 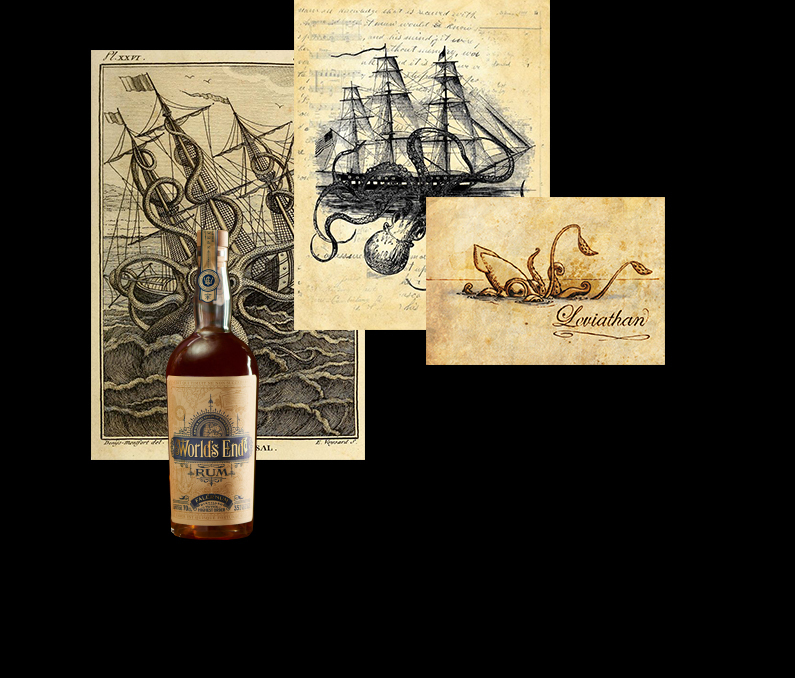 A slight sense of mystery; tying in the navy rum legend This harks back to the history of Royal Navy rum rations, which switched from French brandy to rum after the invasion of Jamaica in the mid-17 th century. 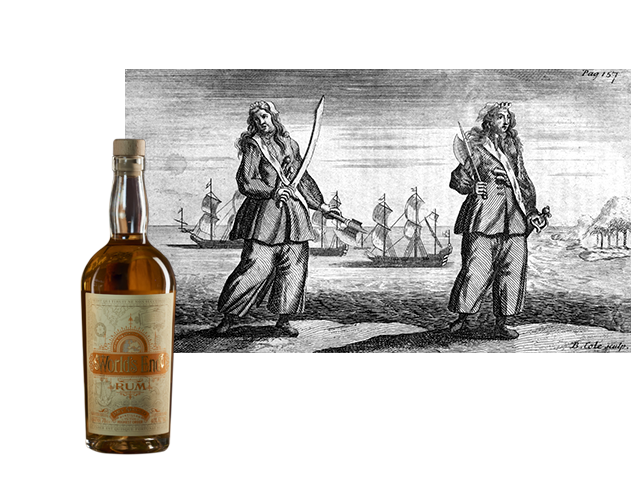 It later became called ‘Old Grog’ after an actual character who advocated the rum ration. We evoke this character with this snippet of Nathaniel’s story.